BlackBerry came out with its first touchscreen smartphone two years ago. The model name was Z10 which was a total failure. But the company continued its efforts to manufacture smartphones under the company name RIM. They continued their efforts with the help of BB10 OS. With the continued efforts BlackBerry came out with its successive models like Z30 and then BlackBerry Leap. But the problems associated with these smartphones are that the company failed to accept the changes in the modern world and also failed to incorporate them in their new model. These three models came out with a wide gap, but on looking at the specifications, they rarely have any difference. Looking at the recently launched products we can clearly understand that BlackBerry never changes its basic design. The BlackBerry Passport that were released with Porsche Design Collaborations and the handset which is not yet released, curved screen slider – all are a variation from the same basic design theme. 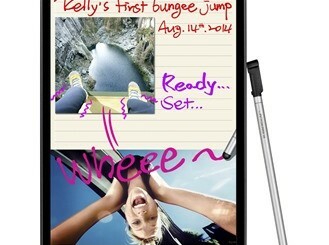 But this smartphone, the Leap seems to be a drastic change from those two handsets. Leap copies much of its design features from BlackBerry Z3 which is a lower end gadget that has been launched in some of the developing markets. The external case of the handset is made of black and grey slabs with pointed edges. One may feel that they are holding some brick when they have Leap in their hand. This is due to its stubbornness. The external case won’t flex or bend under immense pressure. Adding to this high quality security this case is being wrapped up with material made of rubber to withstand external shocks. So in toto the external body acts as a protective case even if the handset is accidently dropped from your hand. This advantage can even become its disadvantage too. The protective case makes the device bulgy making it wider, thicker and heavier. The device weighs upto 170 grams. The Operating System of Blackberry leap is consists of various swiping gestures. This feature could prevent the disadvantage of being bulky. The power button of the device is placed next to the audio jack, which is just like an awkward designing. The volume controller is placed on both the sides of BlackBerry Assistant Button and placed to the top right of the handset. You may also find the USB port also in position just like you want them. The back panel of BlackBerry Leap is irremovable since it is having an irremovable battery. The micro SIM slots and microSD card slots are placed behind the back panel on the left side. Apart from the usual buttons and slots, Leap is somewhat innovative in its designing. The dimpled grey canvas with square and loudspeaker grille along with the silver coloured BlackBerry logo adds to the beauty of the handset. Along with these design features, the back cam is being covered with a glass band, the front cam and earpiece is coupled with LED notification. Leap comes with a 5 inches display just like any other mid-range handsets. It is again supported by a screen resolution of 1280*720 pixels. The colours that Leap supports are vibrant and the white balance can be adjusted in Settings Menu. The display lacks the power to cut down the penetration of Sun’s rays. You may be end up in finding no difference between the handset powered with 50 percent brightness and 100 percent brightness in full bright sun. Leap runs on BlackBerry 10.3.1 platform of OS which is similar in case of BlackBerry Classic. You may find it easy to handle the device since the operating system works mainly depends on your gestures. It is important when you are using a particular application. Tapping up from bottom will minimize the application that you are currently using. Swiping right in certain Menu items may give you related Menus. Tapping bottom from top will provide a quick gateway to Settings. When you are at home screen and when you tap to right, you will end up at BlackBerry Hub which is the email interface of BB10. This will help us to drop all our messages and notifications from various applications like emails, tweets, Facebook etc at one single place. Hub enables us to have an immediate access to WhatsApp messages, Facebook photos, email and so on. Another such application that you may find useful is BlackBerry Assistant. Another attracting feature about this application is that, it is having an external button between volume keys. From there you may command the virtual assistant to change the settings, message a friend of yours, launch applications, explore a dinner spot, perform searches and so on. Another thing that you may find handy is BlackBerry Blend. By installing this on your PC or Android/iOS devices and pair it with your BlackBerry set, then it may allow you to access your BB handset from anywhere. You can also find the contacts, lighter version of BB Hub, calendar appointment and many others in the Blend. When it is compared to that of iOS apps, it may not work as sophisticated, still remains worthy. With all advantageous applications, it also lacks functionality in certain applications. The Maps app doesn’t function like the Google maps. The Stock browser is not so user friendly. Setting up a simple alarm takes a number of taps over the screen. Certain Menu items are made unnecessarily complicated. The applications that are available in BlackBerry world and Amazon’s Android Appstore is not even half of those are available in Google Play or Apple iTunes. The already installed YouTube app is a connection to mobile site. Also to customer’s disappointment there is no formal Instagram interface in Leap. Leap comes out with a rear cam having 8MP power whereas the front cam powers with 2MP. These two will satisfy the selfie needs as well as the video calling needs of the customers. The camera interface is nice and simple. You are permitted to change the flash behavior, turn on or turn off HD recording, select the mode of image captures, set up timer and also set up an aspect ratio for the photograph. The white balance and other colour balancing are done automatically. You may find the sound of shutter as irritating. The camera in Leap is supported by its Stock Camera App. It gives directions regarding setting up various modes, HD recording modes, adjusting with lights etc. The Robust auto exposure compensation makes out way for balanced snaps even in artificial lights. HDR mode may help you to snap images with greater clarity and pixel density. But unfortunately the camera functions at its least when light are dim. Pictures look blurred and in these cases clarity lacks. Another area of problem is the Focus. The camera of Leap is not enough to snap macro range objects which mean it lacks focus while shooting close range objects. Video recording quality is just good when compared to its competitors in the market. In short the camera is no way a substitute to DSLR, but still can be used to capture almost everything that comes in front with certain limitations. The battery of Leap is with a capacity of 2800mAh. On testing the battery of the device, it is proven that even after hectic usage the battery performs much better. The experts are of the opinion that you may keep your handset live for atleast 2 days with this battery. Most favourable thing is that even after rough usage, the handset never heats up, when other similar smartphones do. When performance of the handset is concerned, it functions on Dual Core Snapdragon S4 Plus chip with 2GB RAM and 16GB internal storage. 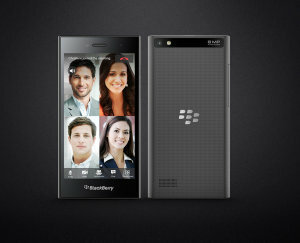 The processor is similar to that of Z10 which is 2 years old. The difference that you may find is that in Leap internal memory can be expanded upto 128GB with the help of microSD cards. The processor functions at a speed of 1.5GHz. The processor backs in age of silicon processors and is totally outdated one. Smartphone has a high performance rate in its applications as well as in tapping between screens. Leap changes between screens so fast and cool without any lag in between. Browser in the phone performs so swiftly that the page loads in a fraction of seconds. But when the case of Gaming comes, it may not perform as fast. High graphic supported games may not be suitable for Leap. For example the game GT Racing often gets stuck when there are two cars on the screen. The leap is compatible to WiFi connectivity of band width 802.11b/g/n along with WiFi Display and support from Miracast. This handset can also be connected by Bluetooth 4.0. It is also companionable with GPS that searches satellites within seconds. It can also be well connected with NFC. There are two Leap SKUs one with LTE radio which plays nice with all major North American Carriers and the other that suits 4G connectivity in Europe and Asia. When the price of the device is concerned it is available for $275/£200 off contract. Oh and UK carrier Vodafone is selling Leap along with a contract of £22 per month. When compared to other handsets with similar specifications are concerned, these prices are much low. Z30 is almost £40 more than Leap, however Z10is almost $100 less than it. Internal memory can be expanded upto 128GB. Autofocus and LED supported camera. 2GB RAM to hold the functioning of the handset. Front cam features are insufficient.